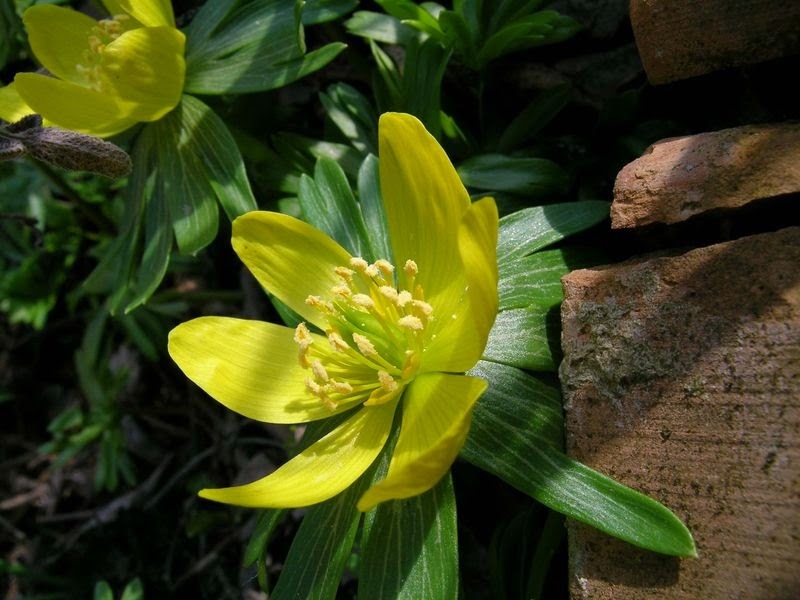 There are many excellent early flowering plants available to the gardener but one that is often overlooks is the gorgeous Winter Aconite - Eranthis hyemalis. 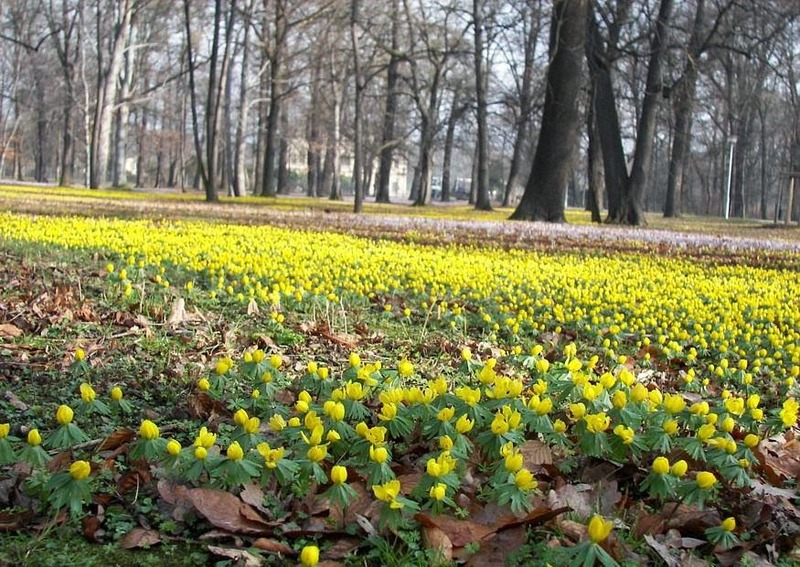 Native to the woodlands of Italy, southern France and the Balkans, the winter aconite is a low-growing, tuberous-rooted, herbaceous perennial that attains an overall height of no more than 4–6 inches. 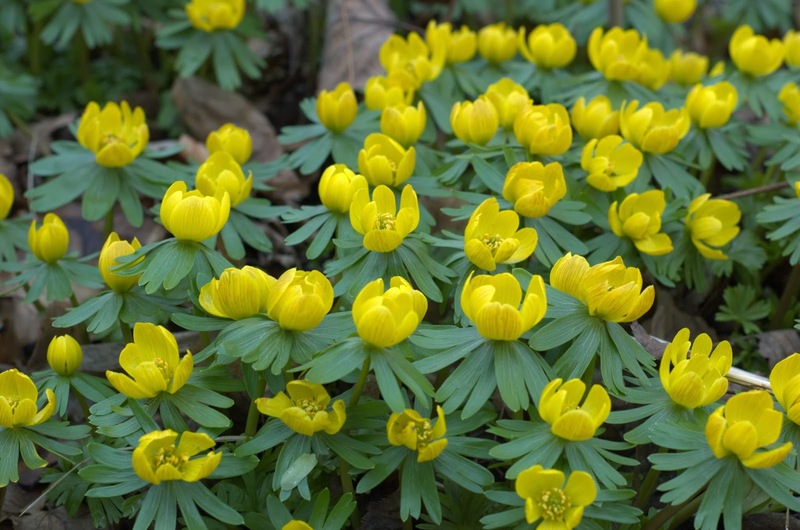 The common name 'Aconite' reflects the resemblance of its leaves to those of the extremely poisonous and related genus Aconitum - the true aconite. However you can rest assured that Eranthis hyemalis is not poisonous, although I would still not recommend eating one. It is classed as a spring ephemeral plant. This means that it has evolved a short life cycle in order to exploit the high levels of sunlight that reach the woodland floor in the spring before the formation of the canopy blocks it out. At this point Eranthis hyemalis will completely dying back to its underground tuber after flowering. Eranthis hyemalis are best purchased as pot grown specimens in the spring, or as tubers in late summer. Plant them small groups 1 inch deep and 3 inches apart in a well-drained, water-retentive soil. They will prefer a heavy loam underneath deciduous trees or between deciduous shrubs in full sun or partial shade. If you are finding it difficult to establish them it is usually due to a lack of moisture during the growing season. You can propagate Eranthis hyemalis by lifting the tubers as soon as the plants begin to die back. You can cut or break the tubers into smaller sections and replant immediately. Eranthis hyemalis and the cultivar 'Guinea Gold' have both received the 'Award of Garden Merit' (AGM) from the Royal Horticultural Society.